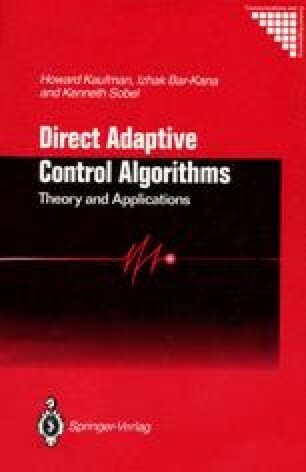 The basic direct model reference adaptive controllers are developed in this chapter. To this effect, Sections 2.1 and 2.2 discuss basic model following concepts. Of importance is the development in Section 2.2 of the output model following control algorithms which subsequently serve as the basis for the adaptation procedures.